Decoupage under glass - each piece is unique and hand painted. Wine Label Platter - 12 x 20"
Wine Label Tray - 9 x 14"
Each necklace is made of bronze or silver metal clay which can be worked exactly like clay. Firing the material in a kiln removes the water and binder, shrinking the design and transforms it back into pure bronze or 99.9% silver. The artist then finishes the piece with traditional methods to create a one of a kind unique piece. Pick out favorite initials for your bracelet, spell out a name, or express yourself with a favorite word! Julie will customize your unique piece with one to a total of six initials/letters. Each bracelet is hand done and is one of a kind. Lime Stone selection of obscenely soft and luxurious double-sided throws. Imported materials and made in San Francisco. These handsome ceramic pears are beautifully handcrafted by California artist Jason Segall. The French Country amber ceramic is finished with “stems” made from horseshoe nails. They make a beautiful gift—or you could use them in a centerpiece. 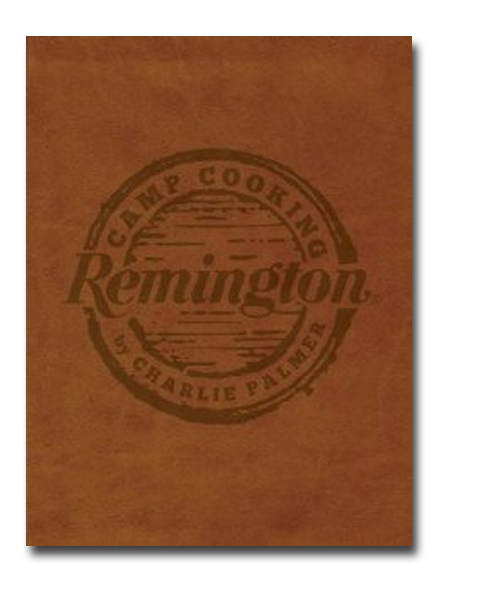 Camp Cooking is chock full of outdoor game and fireside recipes, camp cooking pointers, and brilliant photography. Consider this cookbook your how-to on everything to feed your outdoor life. Charlie Palmer’s Practical Guide to the New American Kitchen (Melcher Media, October 2006), Chef Palmer’s latest project, is the first cookbook to take into account how we actually cook, how we want to cook, and what we need to know to get there. The Practical Guide’s revolutionary format uses Melcher Media’s patented DuraBook™ technology to offer the first entirely waterproof, spillproof and cleanable cookbook. Capable of withstanding a broad range of kitchen spills, from red wine to olive oil, Chef Palmer’s first culinary manual explores beyond the traditional recipe format. With Aureole New York, Chef Palmer established a stellar reputation for blending uptown sophistication with elegant warmth. Today, the art of Aureole's cuisine has never been more brilliant. With exquisite recipes photographed in a bold, unique composition inspired by the character of the dish, this truly artistic collection captures the distinctive qualities that have made Aureole a Manhattan classic and will make the Art of Aureole a coffee table favorite. Chosen by Zagat’s as the number one restaurant in New York for American cuisine, Charlie Palmer’s Aureole is a Manhattan classic with a worldwide reputation. In Great American Food, Palmer shares the delectable secrets of his culinary genius. The recipes in this cookbook have been carefully adapted to the needs and resources of home cooks. In the New American Kitchen, you’ll find a mix of classical training, love of the craft and a fascination with science. All in all, it’s an exciting place to be. But you are going to have to arm yourself with our foundation collection—four knives that no one should be without and the first step in building a workable kitchen. Set includes: 8” chef’s knife, 6” utility knife, 7” offset serrated knife and 3” paring knife. Knives sit in a drawer insert enclosed in a separate box, both melamine and fully washable.